People often mistake a basset’s doleful looks as a sign of low intelligence. But no, bassets are deeply thoughtful dogs who act almost entirely in service of themselves. Asking a basset hound to co-operate for your benefit is a short cut to insanity. They will rarely quicken their pace at your request but in the blink of an eye will dash off to follow a scent or rush up to a stranger to say hello. You may call them incessantly to come to you but will appear at your side at lightening speed without being called the moment you have food in your hand. Sometimes you only get a raised eyebrow as a gesture of recognition that you are in their company but when they want a neck rub they’ll insistently paw at your leg or twist their neck around your hand until you give them the attention they demand. 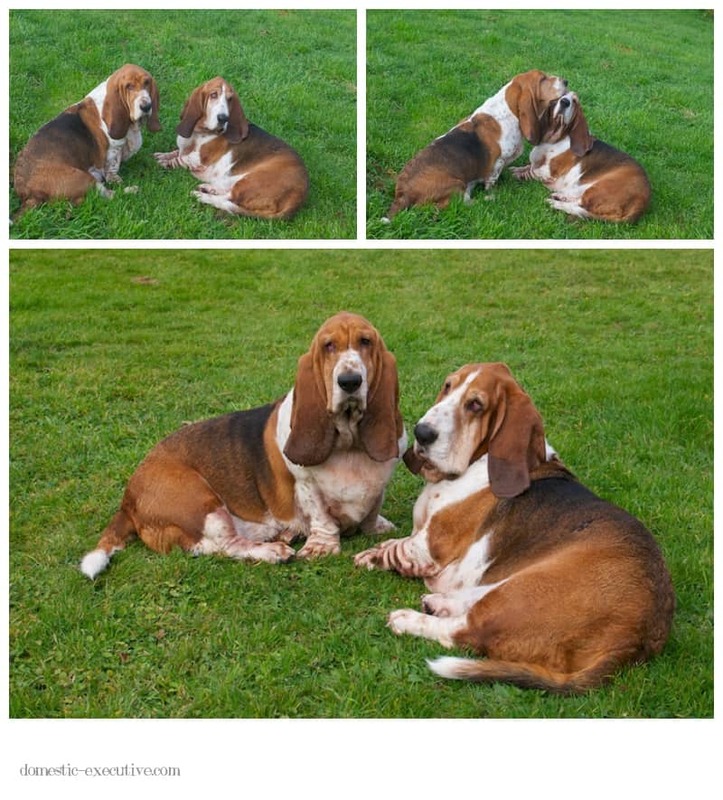 Admittedly my basset hounds are long-suffering when it comes to me taking their photographs. Over time they have determinedly looked any other way but at me and a camera, except if I am dangling something to eat above my lens. But I tried both food and neck rubs as an incentive for a mini portrait session in the garden before I left home to travel to the UK and they stubbornly refused to sit where I could get the best light or pose nicely together. Mason showing me I was not part of their pack at all by washing Fortnum’s face. 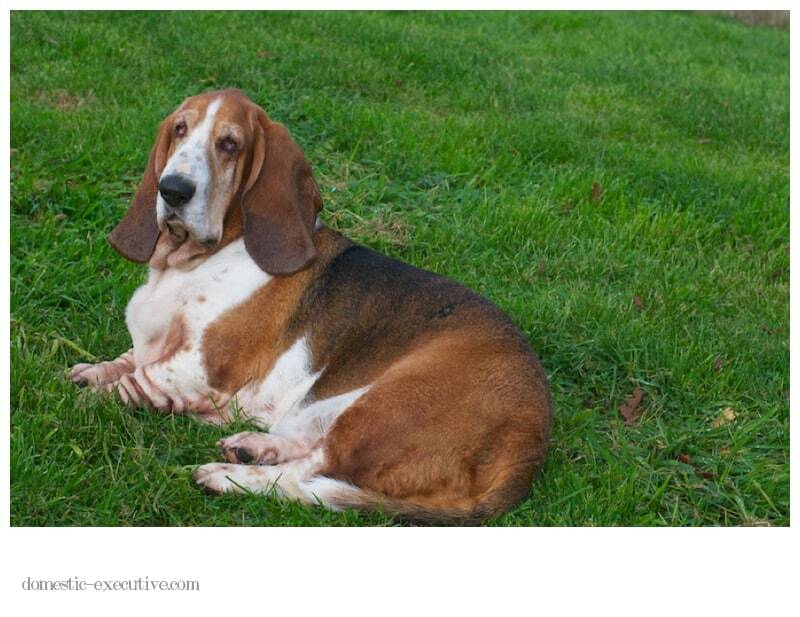 So instead I have a set of photographs of unsmiling basset faces. 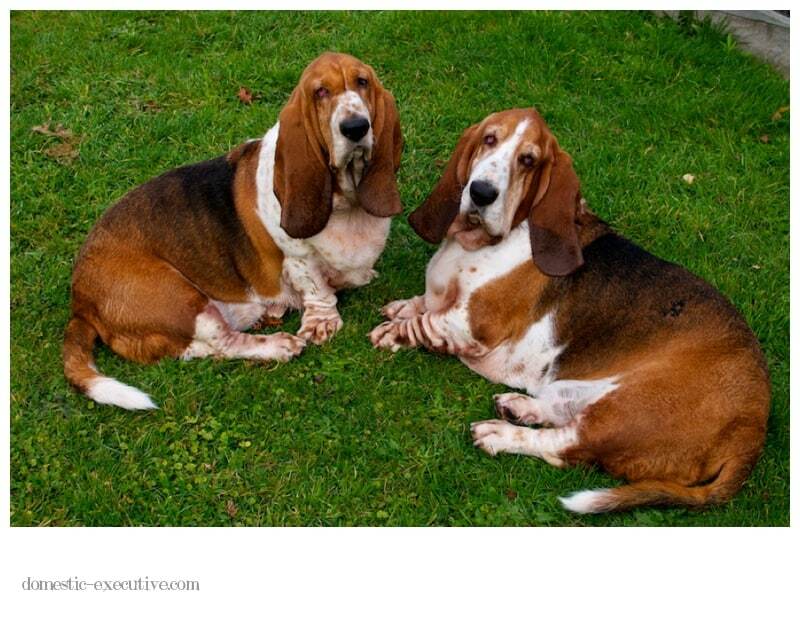 These are the faces of bassets showing their defiance subtly as compliant but not complicit hounds. They are such ungrateful beasts who know exactly who holds the power.